Today, as each year since 2007, a new season of post-nuptial migration begins on the Roc de Conilhac with Common swift, black kite and black stork and the first Eleonora's falcon! This year, the monitoring managed by the LPO Aude until November 15th will be realized (each day with moderate to strong wind from the west -northwest) by one member of our dream team: Marine Guillaneuf, Marine Quent and Mathieu Bourgeois. The wind will be favorable during the next 2 days, so do not hesitate to come to see us, it will be with great pleasure that we welcome you on the Roc! No less than 10,717 Common Buzzards were counted at défilé de l’Ecluse, Haute-Savoie, France on 11 December 2012. This is a new European day record: the previous record was 10,071 Buzzards at Falsterbo, Sweden, on 11 October 2010. What a memorable day ! Migration started inconspicuously around 9h30 but soon gained momentum with truly exceptional numbers between 10h30 and 16h30. Peak counts included 4916 Buzzards between 12h30 and 13h00 and 1764 inds between 13h00 and 13h30. Numbers went down when heavy snow clouds blocked the Geneva area. 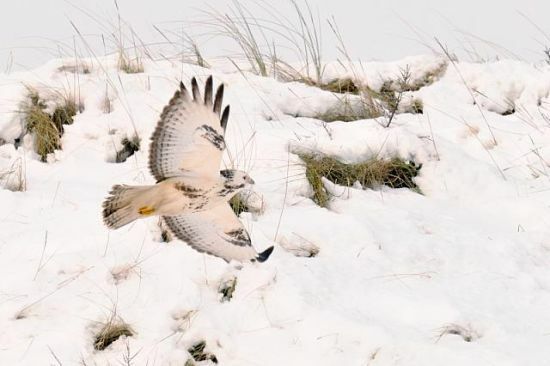 Between 14h30 and 15h30, despite relentless snowfall and highly reduced visibility, 929 Buzzards braved the elements. Défile de l’Ecluse also settles a new seasonal record with over 54,000 Buzzards this autumn ! Some previous records are 27,121 Buzzards at Hellebaek, Denmark in 2008, 23,512 at Falsterbo in 2010, 19,125 at défilé de l’Ecluse in 2003 and 12,013 at Le Hucel, France, in 2003. At défilé de l'Ecluse a staggering 12,180 Red Kites were also counted this autumn, a world record ! 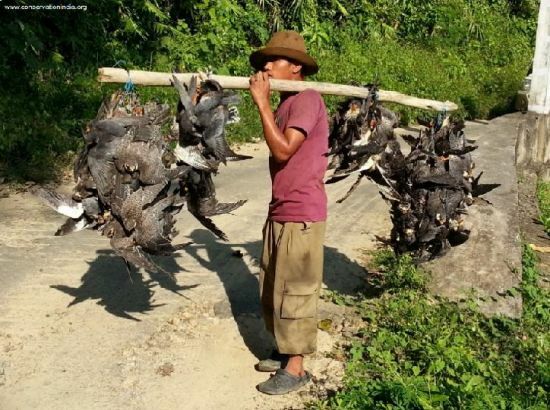 In the Northeast Indian state of Nagaland, tens of thousands of Amur falcons are being trapped and slaughtered EVERYDAY during their migration from Siberia to South Africa. In October this year, a small group of conservationists were able to document this shocking massacre and initiate specific action steps to try and stop the killing. We request you to share this widely. The risk of extinction has increased substantially for nearly 100 species of Amazonian birds, reveals the 2012 IUCN Red List update for birds released today by BirdLife International. The new assessment is based on models projecting the extent and pattern of deforestation across the Amazon. Of particular concern are longer-lived species, such as Rio Branco Antbird Cercomacra carbonaria, for which even moderate rates of deforestation can be important. Some species, such as Hoary-throated Spinetail Synallaxis kollari, appear likely to lose more than 80% of their habitat over the coming decades and have been placed in the highest category of extinction risk – Critically Endangered. The 2012 update is a comprehensive review, undertaken every four years, of all the world’s over 10,000 bird species. 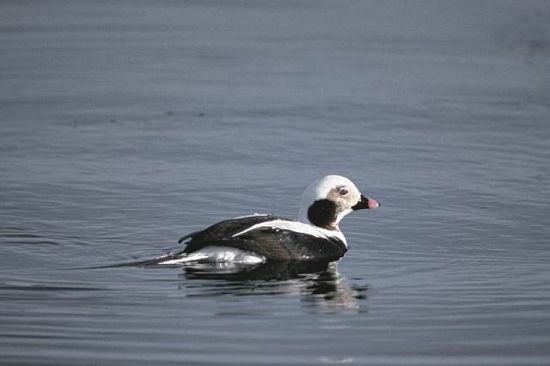 The update shows worrying news not just from the tropics but in Northern Europe too, where over a million Long-tailed Ducks Clangula hyemalis have disappeared from the Baltic Sea over the last 20 years, resulting in the species being uplisted to Vulnerable. The reasons for this decline are still not clear but the fortunes of another sea duck, Velvet Scoter Melanitta fusca are even worse, with the species now being listed as Endangered. “These figures are frightening. We’re pretty sure that the birds haven’t moved elsewhere, and the numbers represent a genuine population crash. The widespread nature of the declines point to the likelihood of environmental change across much of the arctic and sub-arctic regions where these species breed”, said Andy Symes, BirdLife’s Global Species Programme Officer. In Africa, the White-backed and Rueppell's Vultures, Gyps africanus and G. rueppellii, are mirroring the fate of their Asian cousins, with rapid declines linked to poisoning, persecution and habitat loss. Both species have been reclassified as Endangered. Their declines have much wider impacts, since vultures play a key role in food webs by feeding on dead animals. However, not all the news is bad. Restinga Antwren Formicivora littoralis, a small bird from coastal, south-east Brazil, has been downlisted from Critically Endangered, as new surveys have found it to be more widely distributed than previously thought. Its future also looks more secure now owing to the creation of a new protected area covering its core distribution. There are also examples of a species’ fate being turned around, despite almost insurmountable odds. In the Cook Islands of the Pacific, the sustained recovery Raratonga Monarch Pomarea dimidiata, once one of the world’s rarest birds, has led to it being downlisted to Vulnerable. Intensive conservation action, particularly through control of alien invasive predators like black rats, has saved the species from extinction. 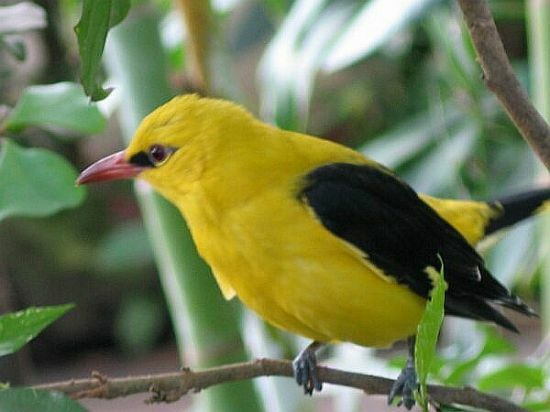 The bird’s population is now about 380 individuals, over ten times bigger than at its low point, although continued conservation efforts are required. “Such successes show the remarkable achievements that are possible where effort and dedication by conservationists and local communities are backed up with political support and adequate resources,” said Dr Stuart Butchart, BirdLife’s Global Research Coordinator. No less than 183 Golden Orioles were counted at Canet-Saint-Nazaire, Pyrénées orientales, France on 24 April. This is the best daily total for the species and a new record for France. The previous record was 100 individuals at pointe de Grave on 3 May 1989. Pointe de Grave on the Atlantic coast of SW France remains the top site for this species with a seasonal maximum of 474 Orioles on spring migration in 1989.
Who's interested in spending the autumn for at least 2 weeks at the Caucasus in Georgia witnessing the incredible bottleneck migration of thousands birds of prey? The applications for volunteering are open! A pleasant variation for birding is the Chorochi delta, a spot close to Batumi consisting of a river delta and its surroundings with bushes and ponds. Its a brilliant stop-over for all birds migrating through. In autumn, there are always good amounts of passerines, egrets, waders and larks around. Many gulls can be found, around the nearby rubbish dump. 1) Help us during the count as a COUNTER. In return for a small daily incentive (6-8 eur) you can join for at least 2 weeks in our counts (2 off-days) and we provide you with accommodation, local transportation and full board. We expect some basic English skills to communicate between the coordinators and the counters. 2) Support us as an ECO-TOURIST. Stay at in one of our homestays, where Georgian family will provide you with a private room and full board, at walking distance from one of our count stations, for ~23eur/day and support the project en the local eco-nomy! 3) Attend our Batumi Bird FESTIVAL, and celebrate 5 years of BRC with us! The event is organised during the most varied migration period, from 20th until 23rd of september. We provide daily excursions to all birding hotspots, cultural tours, lectures (by Keith Bildstein, Alechandro Arrubio en Andrea Corso), bird ringing demonstration, and at the end a Georgian banquet with traditional music. You can chose to reside in one of the homestays or in a comfortable hotel, depending on your budget.Participation to the festival will cost about 60€ (all excursions included), prices per nacht (all-in) will range between 25 en 50 €. For your information, we are a non-profit NGO, all income directly goes to the study and conservation of this bottleneck. In the region there's intensive hunting, on all migratory birds and also at raptors, and the chances that you will be confronted with it during your stay are high. More about the who, when, where and why they are shooting raptors can be read here. The Batumi Raptor Count (BRC) seeks a motivated and passionate intern to work with us on developing our conservation and monitoring programmes in the Republic of Georgia. The intern will live near the Black Sea city of Batumi, capital of the Ajara region of Georgia, from April 16th to September/October 2012. The intern will be required to act as the BRC’s representative “on the ground” and also assist with the organisation of monitoring, education and ecotourism work. This is a unique opportunity to play a key part in a major conservation activity and is also an excellent chance for the intern to get experience of applied conservation work. BRC aims to keep the costs to the volunteer low and will provide free accommodation, food, in-country transport and cover the costs of travel to and from Georgia. As well as organising our activities volunteers will also get the chance to participate in the 2012 autumn migration count where >80,000 raptors can be seen in a day! We hereby want to remind you of several vacant volunteering positions in the Batumi Raptor Count , between Sept 15th and October 16th 2011. BRC is looking for motivated volunteers to monitor migration of soaring raptors at Batumi, Georgia. In this period the majority of migration will consist of Steppe buzzards, Black kites, Short-toed Eagle, Lesser spotted eagles but upto 25 other species including Greater spotted, Steppe and Imperial Eagle, Pallid harrier, etc. You stay with the rest of our volunteering team in a homestay in a small village right next to one of our observatories. We arrange for accommodation, dinner and local transportation. In return we only ask for a small contribution of 5 euro per day covering part of these costs. To get some idea about the local atmosphere in the count please visit our online photoalbums from previous editions or this nice compilation video. Youtube also hosts a nice video of intense Honey-buzzard migration at Batumi in autumn 2009. Interested to participate? You can find all necessary information on the BRC website – Count in 2011 webpage. Also find the preliminary schedule of BRC volunteers and the application form on this page! BRC has successfully monitored raptor migration at the eastern Black Sea for 3 years and is ready for the 2011 start on August 17th! Over 120 volunteers from over 12 countries experienced this project as a rewarding opportunity to learn more about the bird migration that fascinates them in an international team of amateurs, experts and students. We look forward to having you on board of our 2011 team!